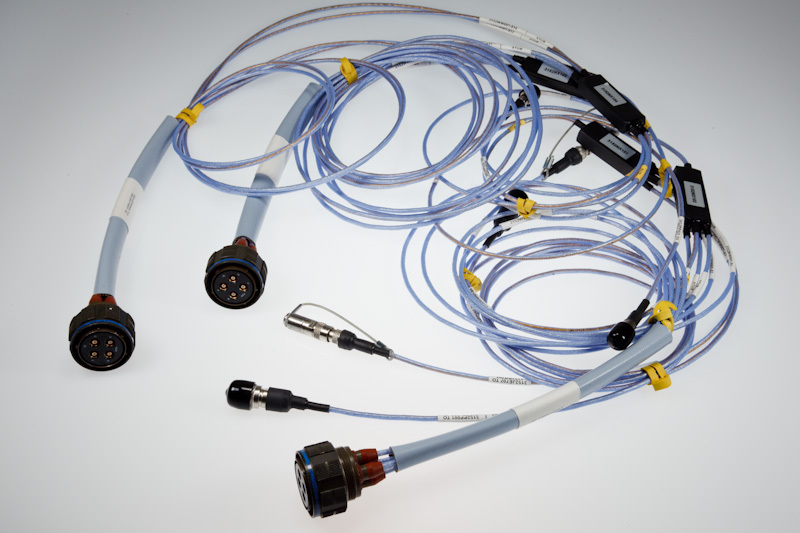 Phoenix Logistics manufactures and provides custom MIL-STD-1553 multi-coupler harnesses for virtually every major US Military Aerospace Data Bus requirement. These MIL-STD-1553 harnesses combine multiple variations of one, two, three, four, five, and six stub 1553 couplers. In addition these databus harnesses can employ a variety of 1553 connectors and 1553 contacts such as: such as MIL-STD-D38999 series I,II,III, TRB/TRT Twinax/Triax Miniature Plugs and Jacks, TRS,TTM Twinax/Triax Miniature Plugs and Jacks, Discrete Twinax/Triax bayonet and threaded versions, Twinax/Triax Contacts Per MIL-STD-39029 sizes 5,8,9,12, EPX , Arinc 400,600, and Solder Tacks. 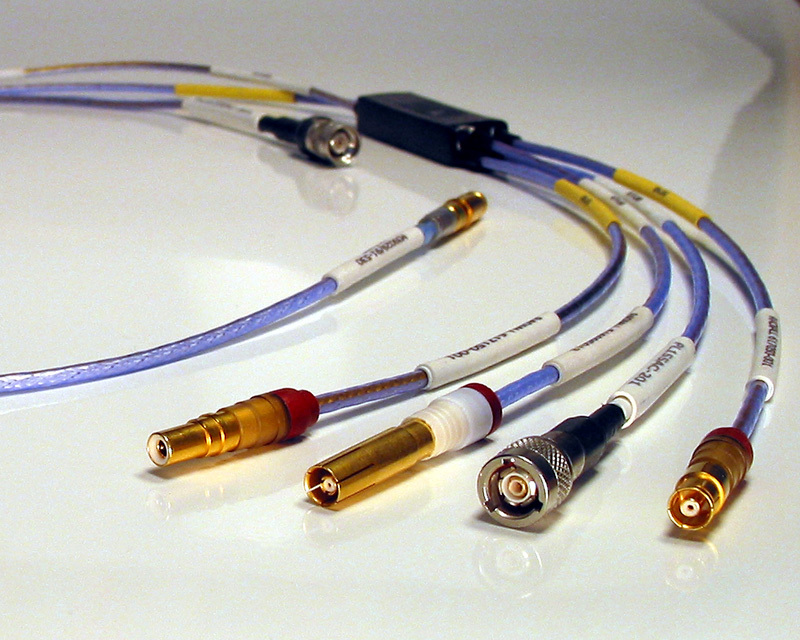 All MIL-STD-1553 harnesses, whether stand alone or integrated into a larger avionics harness network, are tested to make sure they are in compliance with the Electrical Design Characteristics for Data Bus Harness Assemblies per MIL-STD-1553B and customer specifications. As a standard PLI fully tests for Shield continuity, insulation resistance in accordance with MIL-STD-202 Method 302, DWV in accordance with MIL-STD-202 Method 301, signal integrity, and Electrical performance. Electrical performance testing is achieved using a custom built integrated Data Bus Tester to ensurethe 1553 Harness under test can receive and transmit data. Performance testing includes: normal transmission testing using simulated 1553 data bus signals; testing for open circuits on bus or stubs; testing for shorts betweenconductors and shields; detecting open circuit or short circuit bus terminating resistors; and measuring insertion loss. 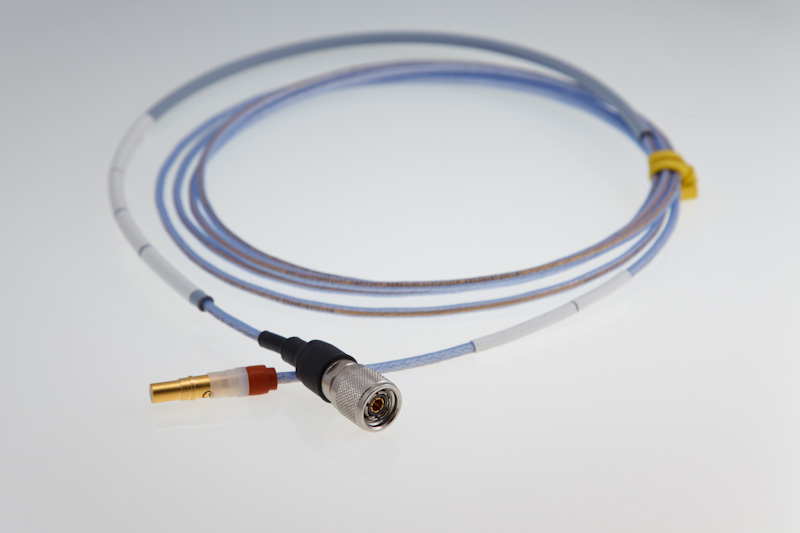 PLI can fully test to any special customer requriements such as DWV, and IR water bath. Marking (laser marking or shrink markers), serialization, and testing can be provided as required. MIL-STD-1553 Harness design, analysis and evaluation services for optimization of integration are also available directly from Phoenix Logistics. PLI Part No. Raychem Part No. 6 20080-001 MP-178095-10-8A 2 Silver Label, .38" X .70"
7 20062-001 MP-254127-10-8A 1 Silver Label, .50" X 1.00"
Phoenix Logistics offers single or multi break out MIL-STD-1553 jumper cable assemblies with any variety of connectors or contacts such as MIL-STD-D38999 series I,II,III, TRB/TRT Twinax/Triax Miniature Plugs and Jacks, TRS,TTM Twinax/Triax Miniature Plugs and Jacks, Discrete Twinax/Triax bayonet and threaded versions, Twinax/Triax Contacts Per MIL-STD-39029 sizes 5,8,9,12, EPX , Arinc 400,600, or Solder Tacks. 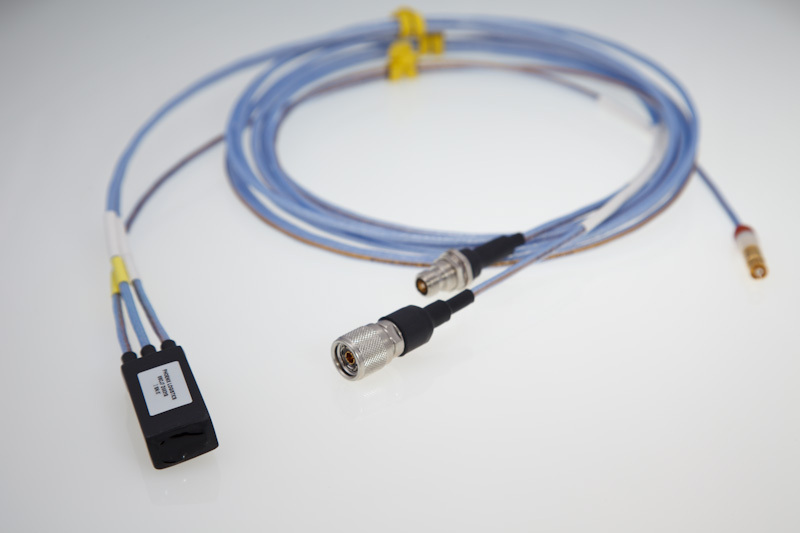 These data bus cable assemblies can also be provided in combination with DC type harnesses. 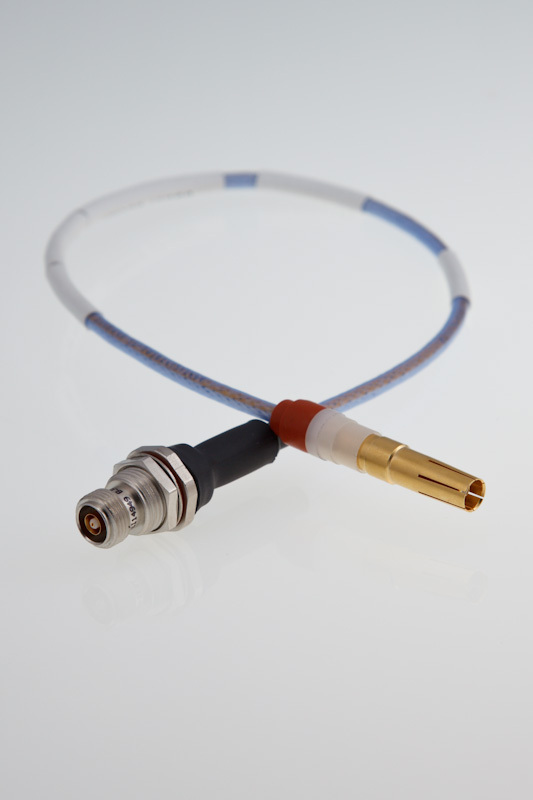 All jumper assemblies are fully tested for shield continuity, insulation resistance in accordance with MIL-STD-202 Method 302, and DWV in accordance with MIL-STD-202 Method 301. 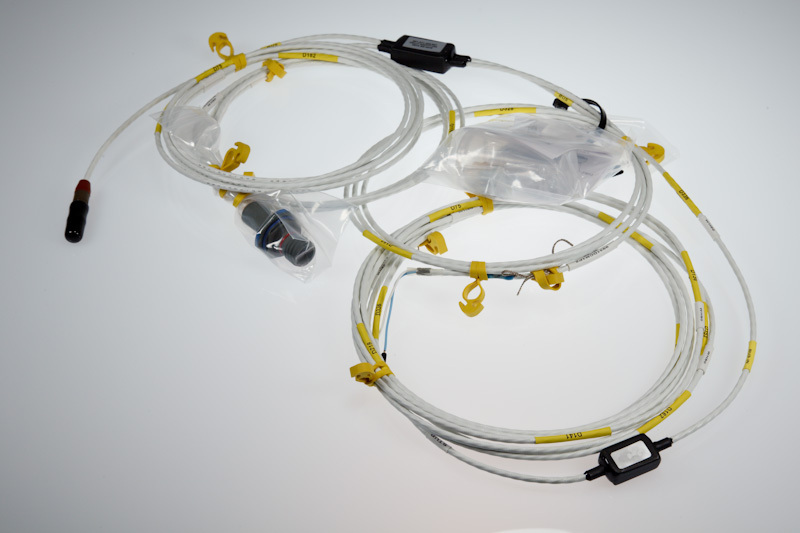 We also design and supply special laid-up 1553 jumper harnesses with special jackets, overmolded connectors, and contacts. Available mold materials include: silicon, fluorosilicone, EPDM, neoprene, and Viton® fluoroelastomer. Typical lead time for jumpers are within 2 weeks ARO. * Viton is a registered trademark of DuPont Dow Elastomers L.L.C.